In today’s world of pampered athletes who complain about their pool cover colors, use PEDs and generally act like pampered jerks by claiming that “Money doesn’t make me, I make money” (Floyd Mayweather), it is awesome to see an athlete who believes in using their wealth to help others. I am not a huge Hockey fan but I saw this article and had to comment. WOW. this man is a true hero. P.K. 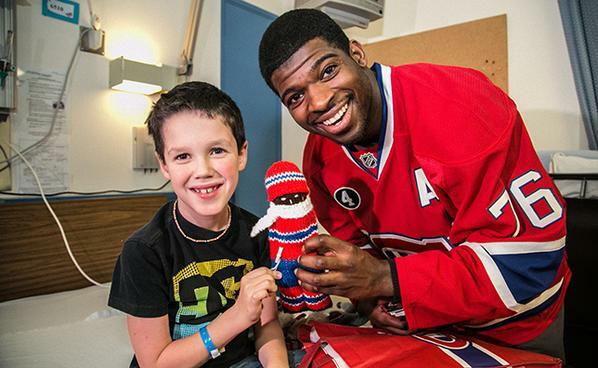 Subban of the Montreal Canadiens’ is not just a great player but is donating $10,000,000 to the Montreal Children’s hospital! Major respect to Mr. Subban! Thank you!! Go Habs Go!